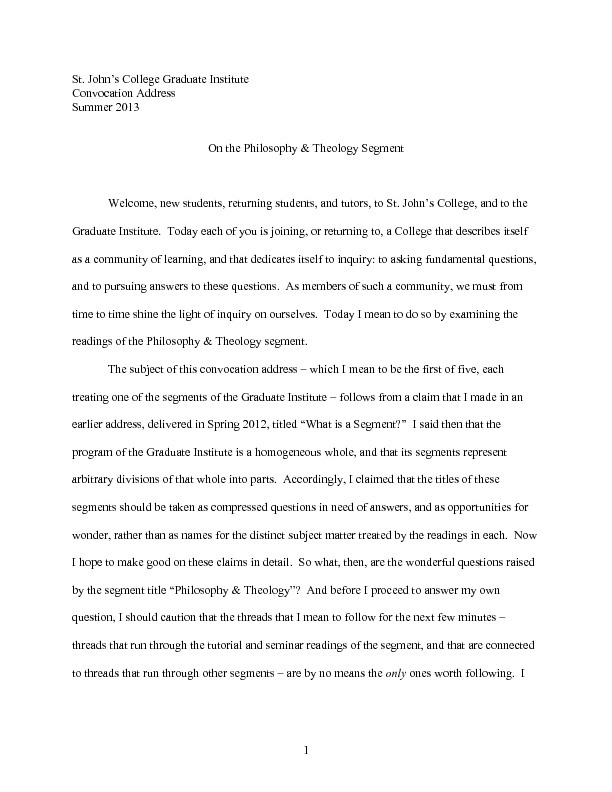 Typescript of the convocation address for the Graduate Institute given by Jeff Black for the Summer 2013 semester in Annapolis, MD. Entitled "On the Philosophy & Theology Segment". St. John's College has been given permission to make this item available online. Black, Jeff J. S., 1970-, “Convocation Address, Graduate Institute, Summer 2013,” St. John's College Digital Archives, accessed April 21, 2019, http://digitalarchives.sjc.edu/items/show/3815.